card to make him official. Bubba came to live in the area in 2009 when he was adopted by Amber Marienthal. In his ramblings he discovered the schools and an endless supply of new friends at Leland High and the neighboring Bret Harte Middle School. 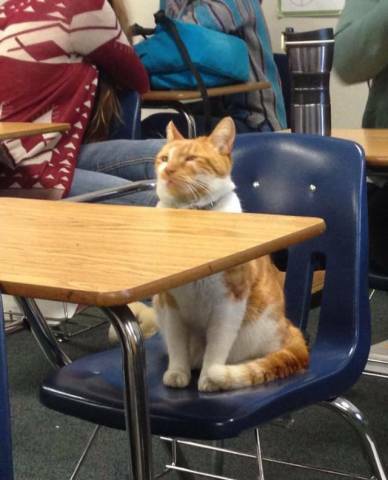 He now spends his days wandering the classrooms and supervising how the students are doing. 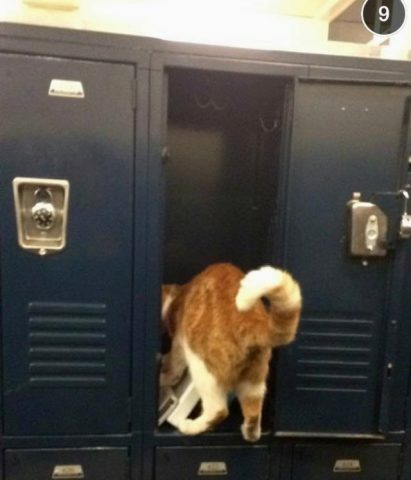 He is also known for doing locker inspections -- most likely for mislaid lunches, preferably of tuna. Marienthal had originally planned for Bubba to be an indoor cat but he had other plans and she eventually had to relent and let him out. Don't judge her for this. I also have a cat that did this. She just didn't go to school. She waylaid strangers in the street. But that's another story. Suffice it to say that Bubba is very social and apparently needed hordes of adoring fans. 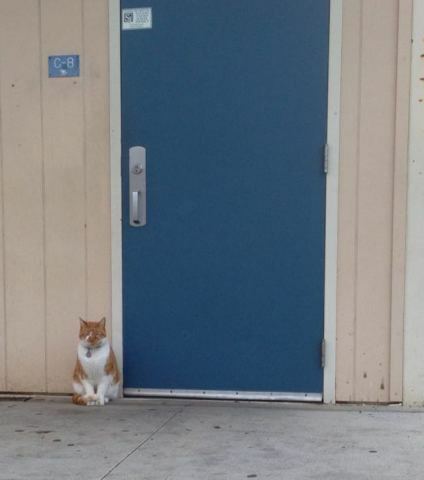 He will wait outside the doors until someone lets him in. This habit almost led him to grief over the summer when he managed to get inside an open door when no one was looking and he ended up trapped inside the school. He was missing for 36 hours until a security guard on his rounds heard his cries for help and let him out. 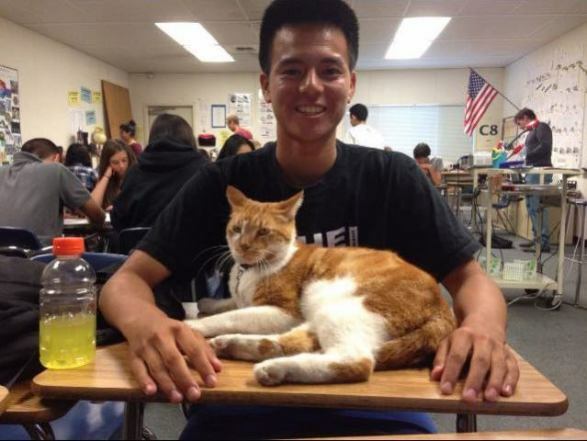 With the start of another school year Bubba is in heaven. 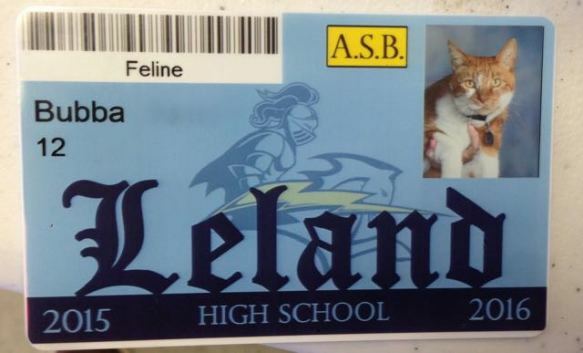 There will be head scratches and petting from students and the occasional treats from the faculty. Marienthal knows he won't be home until the last of the after school sports are done with. It is unknown when Bubba will graduate. He seems to show up in class only when he feels like it. 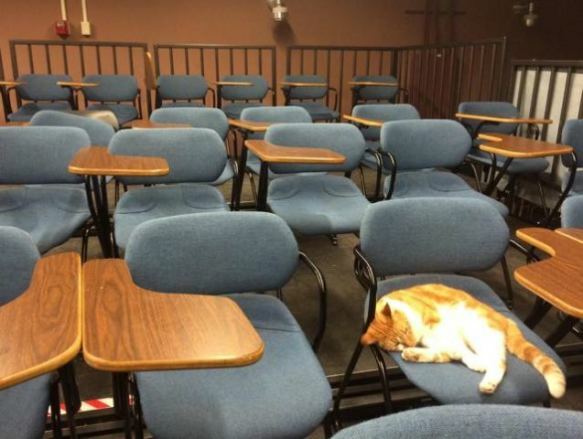 He has also been known to fall asleep in class. Since he isn't 18 yet, I don't think anyone is all that worried. Play, Sleep, Scratch, & Hide: Now THIS Is A Cat Tree!